If you are feeling down or not quite yourself and you’ve tried to feel better on your own, there could be something neurological affecting your emotional well being. Patients in the Dallas-Fort Worth Metroplex area can visit the Prima Health Clinic to determine the root cause of their mental health issues and get the help they need. Visit the Garland, TX clinic today. "The man is a superb human being and a wonderful doctor. I cannot say enough about him." Dr. Nguyen is the best doctor we have ever had. He really HEARS what you tell him! The doctors are AMAZING! They explain everything very well. I would recommend to anyone. I found the staff to be very nice and helpful. Why is Emotional and Mental Well Being Important? Mental and emotional well-being is crucial to our health. Positive mental health makes it possible for people to realize their full potential, cope with stresses, work effectively, and make important contributions to their communities. Early childhood experiences have long-term, quantifiable consequences. Emotional well-being during each stage of life assists to build the groundwork for optimal health and well-being. Anxiety, mood, and behavioral issues such as impulse control are related to a higher probability of being involved in risky behaviors including drug use, unsafe sexual behavior, partner and family violence, and several other chronic or acute conditions including obesity, diabetes, cardiovascular disease, and sexually transmitted diseases. What Causes Problems with Mental and Emotional Well Being? CNS Vital Signs Neurocognitive Testing: an assessment procedure which uses scientifically validated and objective computerized neuropsychological tests to evaluate the neurocognitive status of patients including a wide range of mental processes from simple motor performance, attention, and memory to higher functions. Genova Diagnostics Amino Acid Analysis: This test helps to identify metabolic imbalances underlying many chronic disorders including neurotransmitter function issues which can affect a person’s emotional health. Genova Diagnostics Adrenocortex Stress Profile: This test evaluates levels of the body's important stress hormones like cortisol and DHEA. The test serves as an important tool for identifying biochemical imbalances which can cause anxiety, depression, chronic fatigue syndrome, obesity, dysglycemia, and many other clinical conditions. Genova Diagnostics Toxic Effects CORE: This tests for the buildup of toxins or chemicals which can create unwanted side effects and can contribute to neurodegenerative diseases. If you’ve made persistent efforts to improve your emotional and mental health and you still don’t feel right, seek professional assistance. Because we are a socially acclimated society, involvement from a knowledgeable, caring professional can motivate you to do things that you may not be able to do on your own. Call today to set up an appointment with the office. Insurance options can be complicated. Please feel free to call our office for more information regarding health Insurance options. Throughout the years, I have found that both doctors are very knowledgeable with the latest treatments and are willing to explain these options clearly during our visits. "The doctors here are great! I also like the fact that the office is open on Saturday morning, so I can take my children to check-ups without missing school." "This Practice is Amazing! I am not an easy patient to manage, but Dr. Thuy worked with me through all my symptoms and my Heart and overall Health is great now. " 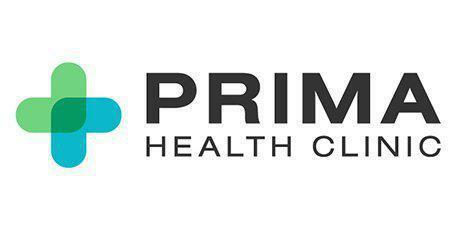 I have been seeing the doctors at Prima Health Clinic since 2007. Both doctors and staff are friendly and nice. I would recommend them to anyone including family members.